In Him we have redemption through His blood, the forgiveness of sins. She stood on the auction block, waiting to be purchased as a slave. How did she come to such a low state? 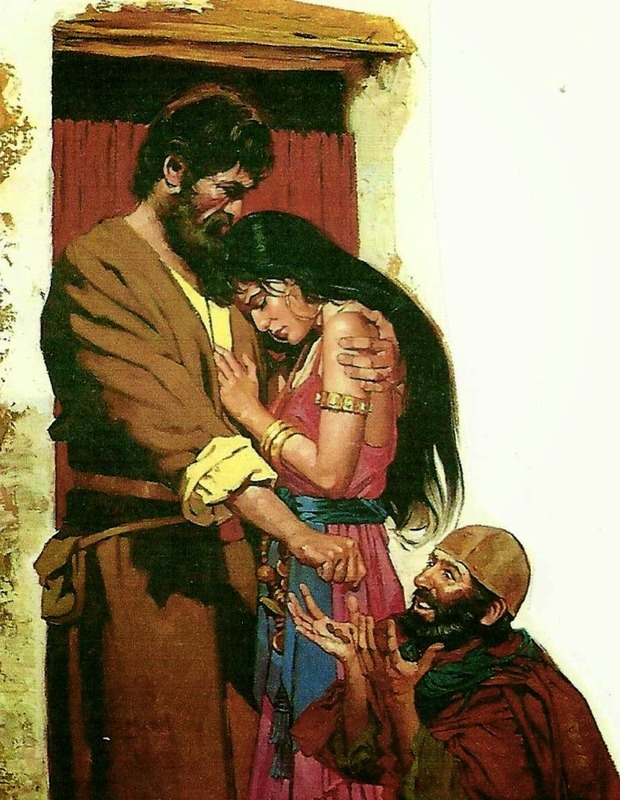 Hosea had loved her and cared for her. Why did she begin looking around and longing for that which wasn’t meant for her? How deceptive sin is. She thought the other men could bring joy and satisfaction. Initially, she found pleasure in their gifts. She found excitement in the forbidden relationships, but that had long past. She stood before the crowd, stripped of everything, including her reputation. The eyes of the men who looked upon her caused her to cringe. Where would she go from here? What would her life be from this point on? Then she saw him coming forward in the crowd. It was Hosea. He had every right to condemn her and have her stoned, for she had betrayed him repeatedly. Her head hung in shame. Then she heard his voice. What? Was he actually bidding on her? How could this man love her after all the wrong she had done to him? Yet, his voice was loud and clear. He bid for her; he purchased her. Once again, she was his! Gomer couldn’t understand Hosea’s actions. He had demonstrated a love unlike any she had ever known. This love brought her to the end of herself. From this point on her heart and life would be his. She would live to please this man who loved her unconditionally. The story of Gomer is my story. I have betrayed God by chasing sinful pleasures. I, too, have stood in the market place of sin being auctioned as a slave. But God demonstrated His unconditional love for me. Christ Jesus came forward and purchased me with His blood. He redeemed me from sin and has given me new life in Him. I long to live to please the One who loves me unconditionally. What about you? Have you been deceived by sin, which is now your master, or have you been redeemed by the precious blood of Jesus? Jesus stands ready to redeem all who believe in Him.